Shirt Rug In Multi Design By Papilio. 100% Cotton Backing: N/a Hand Loomed Plush Pile Recycled Materials Color (pantone Tpx): Lilac(13-3802), Fuschia(18-2525), Denim(17-4021), Black(19-4004), Medium Gray(16-4702), Eggplant(18-1706) Made In Indiaplease Allow 1 - 2 Weeks To Ship Out And Receive Tracking. 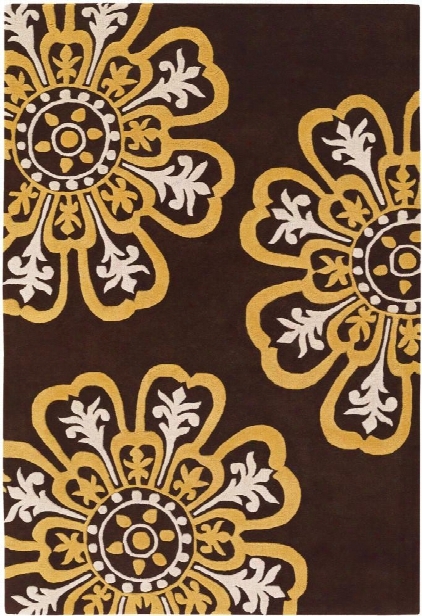 Seedling Collection Hand-tufted Area Rug In Brown, Yellow, & Cream Design By Chandra Rugs. Hand-tuftedâ contemporaryâ rug New Zealand Wool Brow, Yellow,â &â creamâ please Allow 1 - 2 Weeks To Ship Out And Receive Tracking.â *this Item Is Excluded From Sale Events And Not Available For Additional Discounting Or Promotional Offers. Selene Container Design By Cyan Design. Set Of Four Tortola Coasters By Bd Edition. 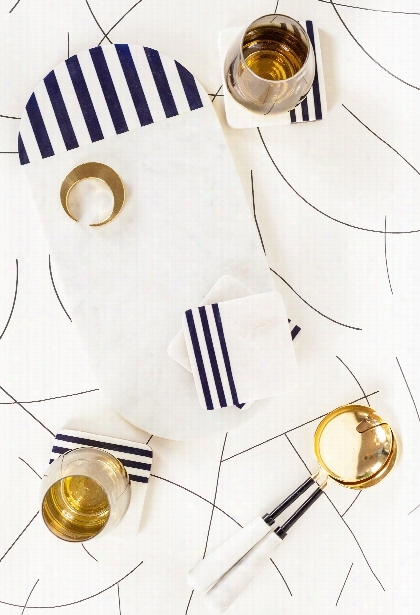 Set Of Four Tortola Coastersâ dimensions: 4" W X 4" D Material: Marble, Resin, And Wood Finish: Naturalother Serving Pieces Sold Separately.if Showing Quick Ship, Item Ships Out Within 1-2 Business Days, Otherwise Please Allow 3-5 Days To Ship Out And Receive Tracking. Sheffield Pillow Design By 5 Surry Lane. Drawing Its Influence From The Traditoinal Suzani, This Globally Inspired Pillow Desire Breathe New Life Into Your Space. It Captures The Bold Look Of Antique Suzani Textiles With Contemporary Zeal. 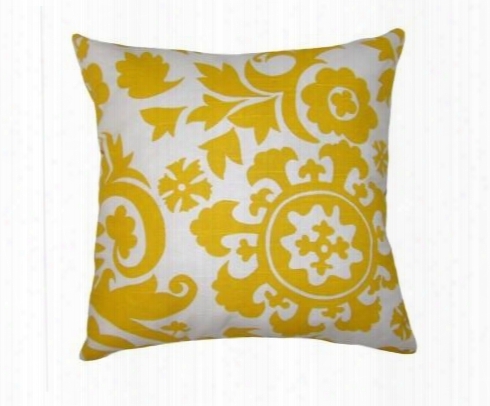 Mix With Coordinating Prints To Instantly Transform The Tenor Of Your Room. Same Fabric Front And Back. Down Feather Insert Included. Hidden Zipper Closure. Made In The Usa. 18 " X 18" Cottonplease Allow 3 To 5 Business Days To Ship Out And Receive Tracking. 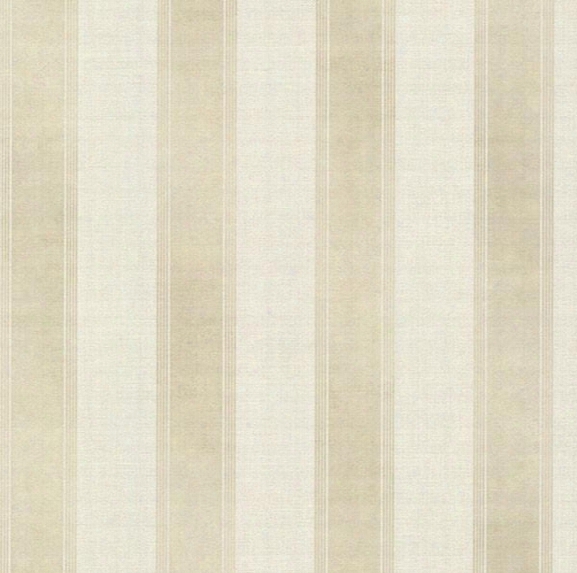 Simmons Beige Regal Stripe Wallpaper From The Avalon Collection By Brewster Home Fashions. 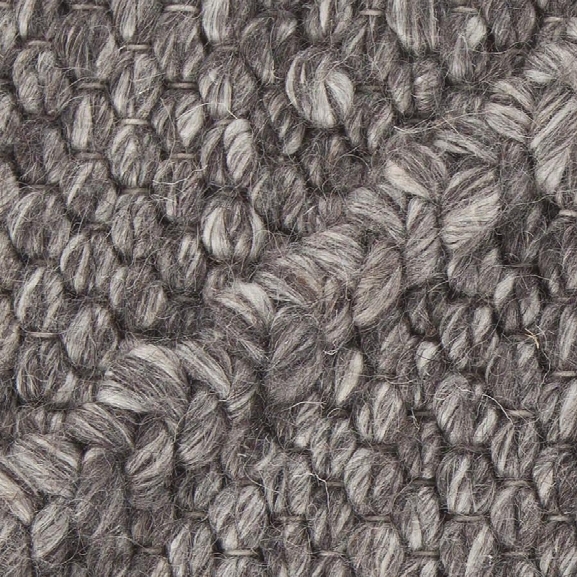 Simple Collection Hand Tufted Wool Area Rug In Graphite Design By Bd Fine. The Simpleâ collection Showcases The Natural Beauty Of Undyed, Handspun Wool. Each Hand Tufted Design Lends Itself To A Wide Variety Of Decors, With Simple, Uncluttered Patterns And A Casual, Comfortable Feel. Natural Wool Pile Hand-spun Made Inâ india Graphiteâ bd Fine Rugs Offer A Mix Of Modern, Transitional, And Classic Patterns That Will Match Every Living Area, From A Rustic Cabin Living Room To A Contemporary Bedroom In The City, Or Anywhere In Between. Please Allow 1-2 Weeks To Ship Out And Receive Tracking. 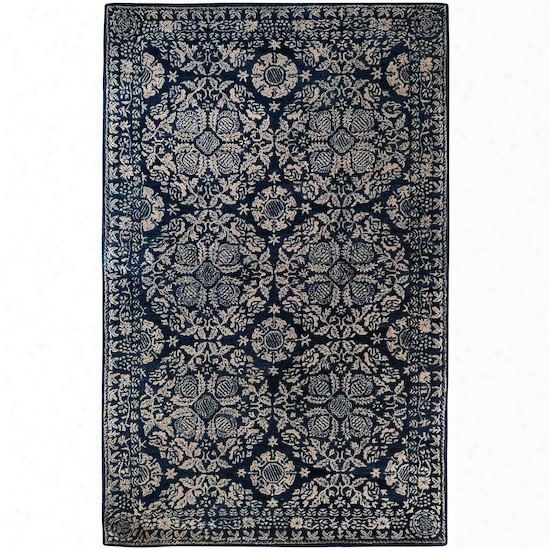 Sithsonian Collection Wool Area Rug In Dark Slate Blue, Dove Grey, And Parchment Design By Smithsonian. Surya Has Collaborated With The World's Largest And Most Prestigious Museum To Develop Its Smithsonian Collection. The Exclusive Compilation Is Comprised Of Hand-tufted Rugs Made In India Of 100% New Zealand Wool And Coordinated Printed Wall Art. Each Piece Within This First-class Collection Was Inspired By Artifacts Found Within The Smithsonian's Vast Archives. They Represent A Variety Of Cultures And Historical Provenances Including 19t H Century Studies Of Ornamental And Decorative Designs From Egypt, China And The Middle Ages, 18th-19th Century French Wall Coverings, And 19th Century American Textiles.the Color Palettes Are Reflective Of The Original Inspiration Pieces And The Time Periods In Which They Were Created, However, The Final Product Is Graphic And Stylized, And Com Pletely In Keeping With Today's Modern Sense Of Aesthetics. 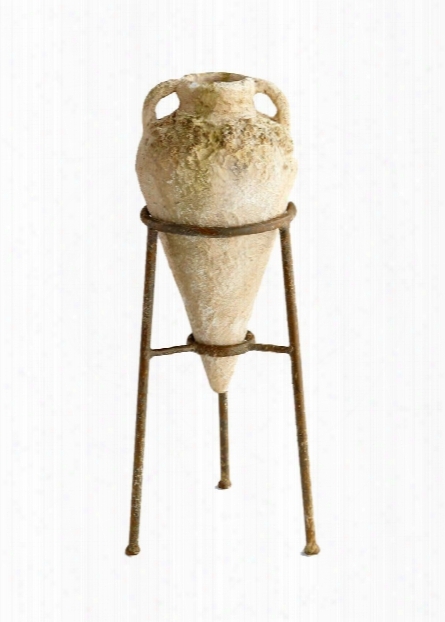 Each Piece In The Smithsonian Collection Has Been Created In Accordance With The Smithsonian's Critical Eye For Quality And Excellence And Are The Perfect Complements To Interiors Ranging From Traditional To Contemporary. 100% New Zealand Wool Hand Tufted Made In India Plush Pile Hard Twist Texturelead Time: Usually Ships In 3-5 Business Days. Square Wall Box In Light Grey Design By Ferm Living. Take Advantage Of Alternative Square Metres In Your Home, On Your Terrace Or Balcony With This Wall Box, Giving You The Opportunity Of Adding A New Green Dimension In Your Home. It Comes In Two Sizes That You Can Combine For A Vivid Expression On A Plant Wall. 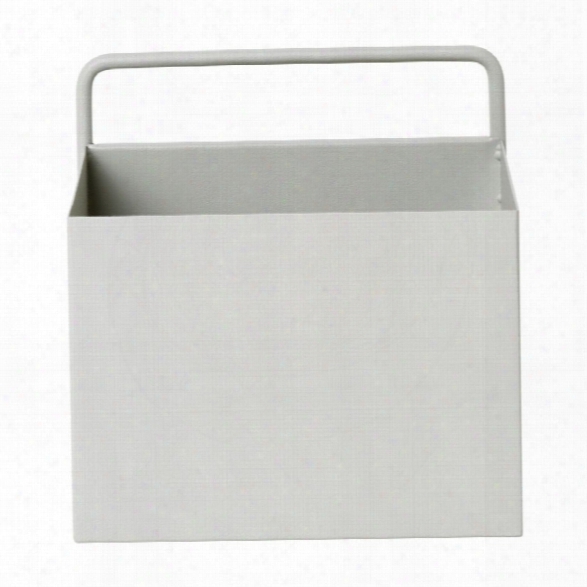 The Box Is Made Of Powder-coated Metal, Designed For Outside Use And Will Endure The Elements.â Item No. : 3345 Colour:â light Grey Size: W: 15,6 X H: 15,6 X D: 14,6 Cm / 6.1" X 6.1" X 5.7" Material: Powder Coated Metal Care Instructions: Wipe With A Damp Cloth Comes With Wall Mounting Suitable For Outdoor Useâ please Allowâ â 1-2 Weeks To Ship Out Andâ receiveâ tracking. 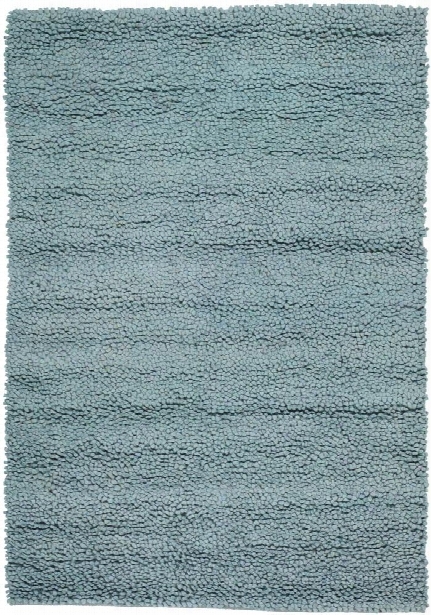 Strata Collection Hand-woven Area Rug In Blue Design By Chandra Rugs. 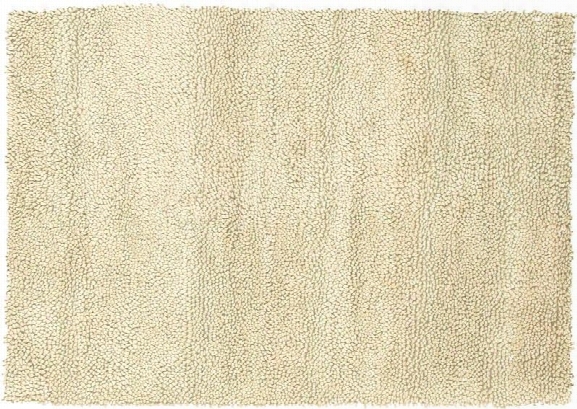 Strata Hand-woven Shag Area Rug Ivory Design By Chandra Rugs. Succulent Wallpaper In Frost Green By Tommassini Walls. Tommassini Walls Designer Wallpaper Is Generally Printed Upon Order. Please Allow Up Ot 3-4 Weeks To Ship Out And Receive Tracking.inspired By The Desert Vegetation Of Southernâ california, Succulentâ features A Repeated Small-scale Pattern Of Lacy Succulent Buds. Available In Deep Blue, Rosey Gold, And Moss.â photographedâ in Blue Mylar. Material:â coated Paper Pattern Repeat: 27" W X 23" H Approx. 33 Square Feet Per Single Roll Roll Dimensions: 27"x 5 Yards Per Single Rollâ Pre-trimmed Be Sure To Calculate A Little Extra For Pattern Repeat And Matching.â *note: The Minimum Requirement To Order Is 2 Single Rolls, Which May Be Shipped As 1 Double Roll Bolt.please Allow 3-4â weeks To Ship And Receive Tracking.sample***this Item Is Excluded From Promotional Sale Discountsburke Decor Does Not Accept Wallpaper Returns At This Time. Why? Wallpaper Is Produced In Batches (similar To Tile) And Due To The Dye-lot Variations That Occur Based On When The Rolls Are Produced, We Are Unable To Accept Returns. 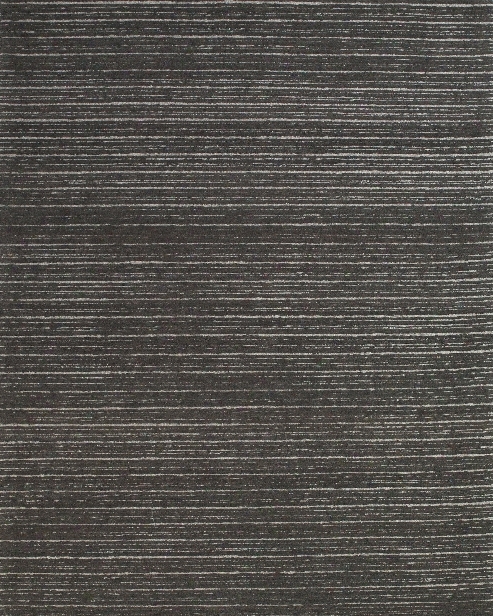 Sujan Collection Hand-woven Area Rug In Charcoal Design By Chandra Rugs. Triangle Stool In Celery Green Design By Emissary. 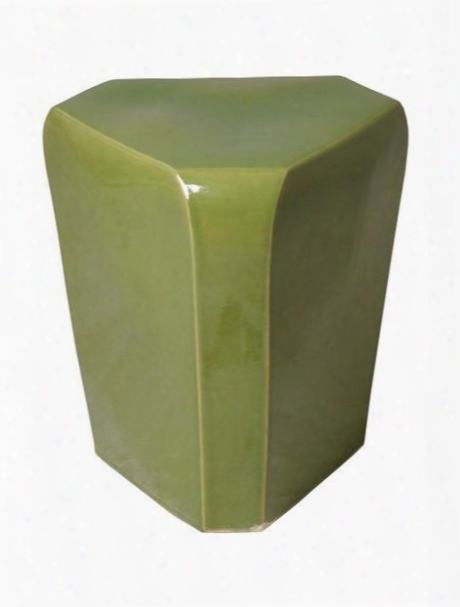 Triangle Stool With A Celery Greenâ glaze. Glossy Glaze 16x18.5"h Please Allowâ 1-2 Weeks To Ship Out Andâ receiveâ tracking. Tuileries Chandelier In Various Finishes W/ Linen Shades Design By Aerin. Wildflower Wallpaper In Wedding Band And Black From Magnolia Home Vol. 2 By Joanna Gaines. A Delightfully Fresh Interpretation Of Florals, Wildflowers Are Thinly Drawn In A Delicate Pattern In Magnolia Home Wildflower Wallpaper, Recognizing That Beauty Blooms In The Most Unlikely Of Placesfrom The Magnolia Home Vol. 2 Collection By Joanna Gaines. Honoring Structural Simplicity And Inspired By A Value For Tradition, Familiar Shapes Are Reimagined Within A Modern Mix.â Material: Non-woven Features: Prepasted - Washable - Strippable Special Effects: Sure Strip Match Type: Drop Pattern Repeat: 10.25" Roll Dimensions: Sold As In A Minimum Of 2 Single Rolls, Which Are Physically Packaged And Delivered As 1 Double Roll Covering Approximately 56 Square Feet (20.5 Inches Wide X 33 Feet Long) Of Wall Area.â please Allow 3 - 5 Business Days To Ship Out And Receive Tracking. "wallcoverings Ae A Unique And Easy Way To Infuse Your Personality And Style Into Your Home. I Think That's What I Love Most About Using Wallpaper- Whether The Print You Choose Is Fearless Or Subtle, It's A Creative Way To Tell Your Own Story." - Joanna Gainesplease Note: Burke Decor Does Not Accept Wallpaper Returns At This Time. Why? Wallpaper Is Produced In Batches (similar To Tile) And Due To Dye-lot Variations That Occur Based On When The Rolls Are Produced, We Are Unable To Accept Returns. We Are More Than Happy To Exchange Unopened Wallpaper For Another Pattern Or Store Credit. 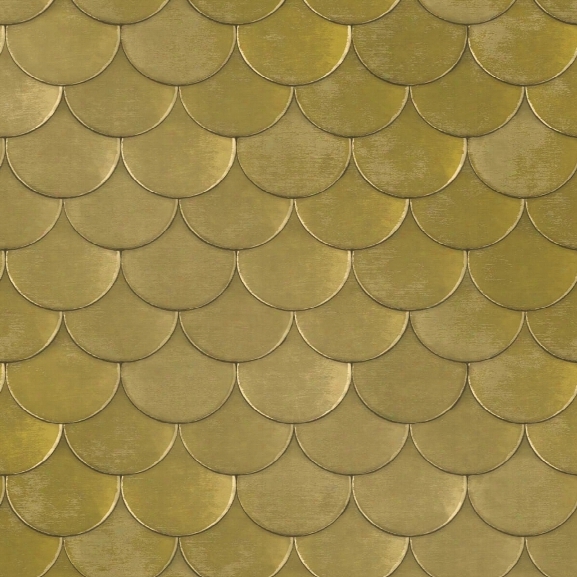 Brass Belly Self Adhesive Wallpaper In Old World Brass Metallic By Genevieve Gorder For Tempaper. 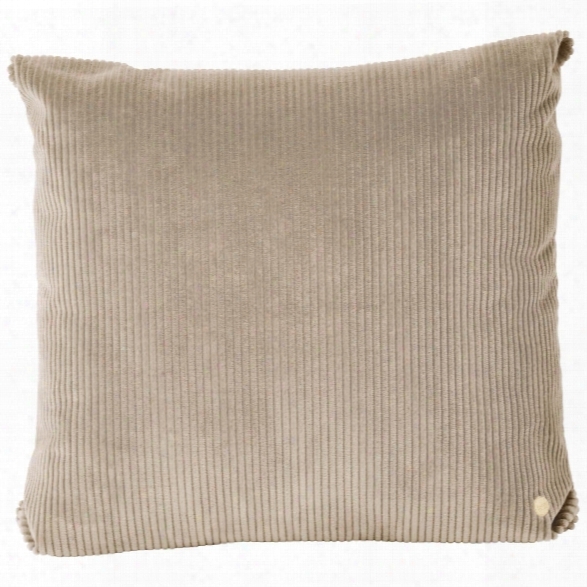 Corduroy Cushion In Beige Design By Ferm Living. With Our Flair For Rich Materials With An Edge, We Fell Right Back In Love With The Simultaneously Sumptuous And Simple Qualities Of Corduroy. With A Ribbed Surface, This Series Of Pillows Is All About Texture And Will Add Both The Richness And Softness Of The Fabric As Well As A Distinctive Fringe To Any Bed, Couch, Or Armchair. The Series Of Corduroy Cushions Feature Six Different Colours: Green, Beige, Brick, Burgundy, Dark Grey, And Navy. They All Have A Delicate Brass Zipper & Rivet. Mix Them, Or Give The Monochrome Expression A Go. Item No: 7482 Colour:â beige Size: W: 45 X H: 45 Cm / 18" X 18" Material: 100% Cotton Corduroy. Filling: Feather And Polyester Fibres Brass Zipper And Brass Rivet Care Instructions: Dry Clean Onlyâ please Allowâ â 1-2 Weeks To Ship Out Andâ receiveâ tracking. 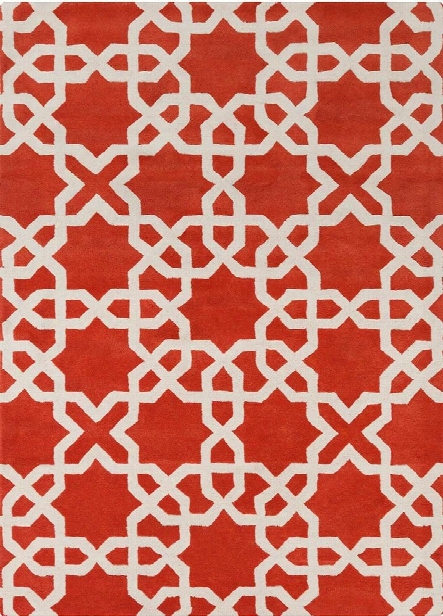 Davin Collection Hand-tufted Area Rug In Orange & White Design By Chandra Rugs. 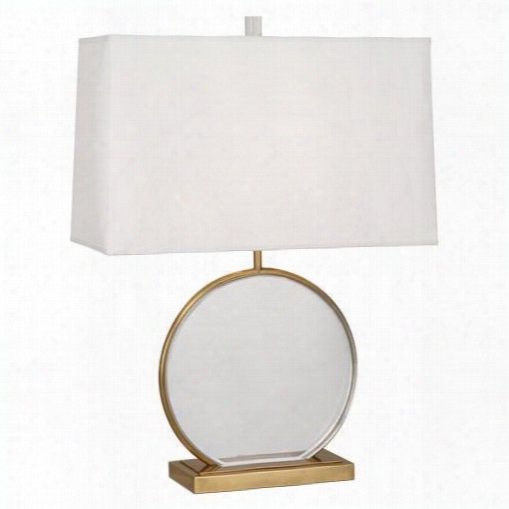 Alice Table Lamp Design By Jonathan Adler. 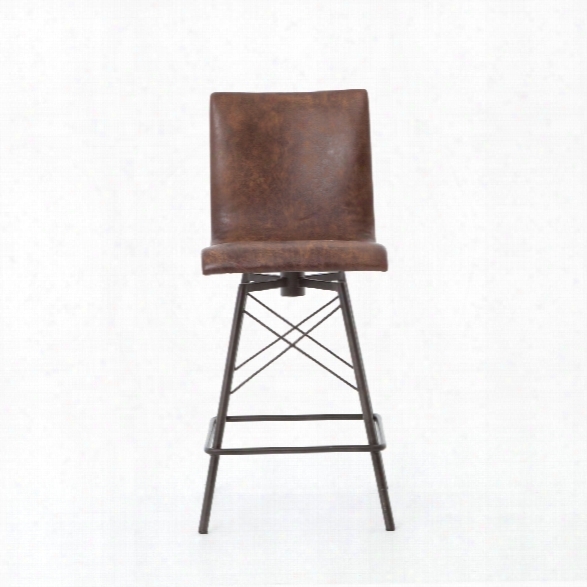 Dillon Bar + Counter Stool In Various Colors Design By Bd Studio. 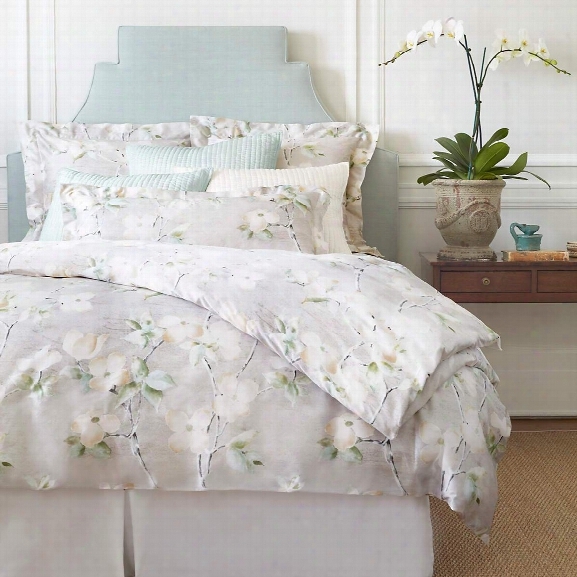 Dogwood Zinc Duvet Cover Design By Luxe. Printed On Dreamy 600-thread-ocunt, 100% Egyptian Cotton Sateen That Looks And Feels Like Silk, This Duvet Cover Is Distinguished By Its Stunning Watercolor Effect-featuring Creamy Ivory Blooms On A Zinc Background-and Enhanced By A Subtle Sheen For A Touch Of Understated Glamour. 100% Egyptian Cotton Sateen. 600 Thread Count. Knife Edge. Hidden Button Closure. Made In Italy. Femme Fatale Wallpaper In Coral And Silver Design By York Wallcoverings. 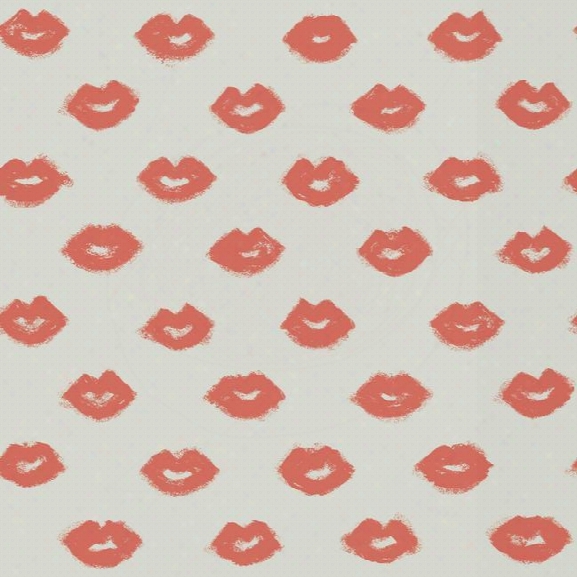 A Sweet Lipstick Kiss, Cheeky And Charming, Conjures Images From Irreverence To Edgy Romance When Delivered In A Stylized Art Gallery Approach.from The Risky Business 2 Collection: The Peril Of Intuitively Individual Style Results In Scandalously Good Taste. Be Courageous. Play With Fire. Break Away, And Reap The Benefits. Decorating Should Be Risky Business. **second Image Is A Style Shot In A Different Colorway**â Features: Prepasted - Washable - Strippable Low Voc, Water-based Inks, Managed Renewable Forests. Special Effects: Sure Strip* Match Type: Straight Pattern Repeat: 20.5" Roll Dimensions: Sold As In A Minimum Of 2 Single Rolls, Which Are Physically Packaged And Delivered As 1 Double Roll Covering Approximately 56 Square Feet (20.5 Inches Wide X 33 Feet Long) Of Wall Area.â *the Newest Generation Of Wallcoverings, Sure Strip Wallpapers Utilize A Special High Performance Paper In Combination With A Technically Advanced Adhesive Formulation To Make Installation Easy And Future Removal Even Easier. Sure Strip Wallpapers Are The Easiest Wallpapers You'll Ever Put Up, Or Take Down!please Note: Burke Decor Does Not Accept Wallpaper Returns At This Time. Why? Wallpaper Is Produced In Batches (similar To Tile) And Due To Dye-lot Variations That Occur Based On When The Rolls Are Produced, We Are Unable To Accept Returns. We Are More Than Happy To Exchange Unopened Wallpaper For Another Pattern Or Store Credit. Please Allow 3 - 5 Business Days To Ship Out And Receive Tracking. 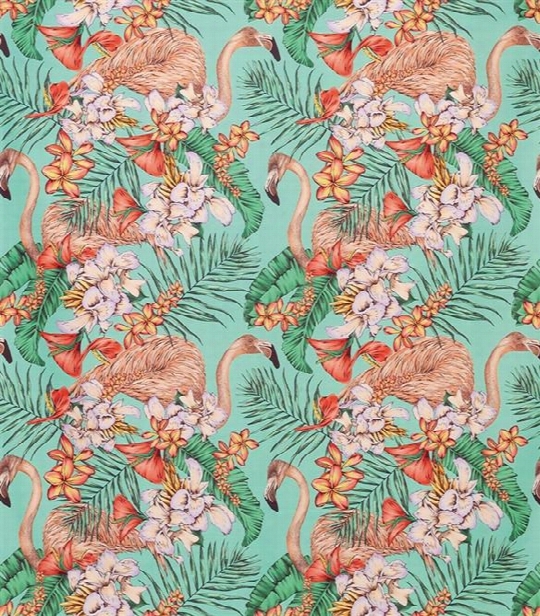 Flamingo Club Fabric In Jade, Peach, And Coral By Matthew Williamson For Osborne & Little. A Colourful Depiction Of Flamingos Peering Though Exotic Flora, Printed On Pure Cotton.matthew Williamson Conjures Up The Glamour And Excitement Of Pre-revolutionary Cuba In The Era Of Hemingway And His Contemporaries In This Exotic Collection Of Decorative Fabrics. Colour$ Imported Directly Fromm Atthew's High Fashion Designs For The Catwalk Include Jade, Peach, Coral, Turquoise, Fuchsia, Grass And Ultramarine. Companion And Co-ordinating Wallcoverings Can Be Found Here.â Recommended Usage: Curtains, Tight Upholstery, Loose Upholstery Material: 100% Cotton Approx Width: 55" Design Repeat: 30.5" Design Rub Test: 25,000 Priced And Sold Per Yard.â fabric Care: Do Not Use Chlorine Or Bleach Professional Dry Clean (p Process) Max Temp Of Wash 104â°f (40â°c) - Normal Cycle Do Not Tumble Dry Iron: Max Temp 302â°f (150â°c) - Warmâ please Allow 1 - 2 Weeks To Ship Out And Receive Tracking. Please Note: Burke Decor Does Not Accept Fabric Returns At This Time. Why? Fabric Is Produced In Different Batches, And Due To Variations That Occur Based On When The Fabric Is Produced, We Are Unable To Accept Returns. We Are More Than Happy To Exchange Or Offer Store Credit.osborne & Little Are One Of The World's Leading Names In Fabric And Wallpaper Design. Cherishing Its Reputation For Innovation And Quality, It Has Grown Into One Of The Great British Brands, Globally Renowned And Repected. For Nearly Half A Century Its Distinctive And Appealing Designs, Across Printed Fabrics, Weaves, And Trimmings, Have Been At The Heart Of Interior Trends. *this Item Is Excluded From Sale Events And Not Available For Additional Discounting Or Promotional Offers. 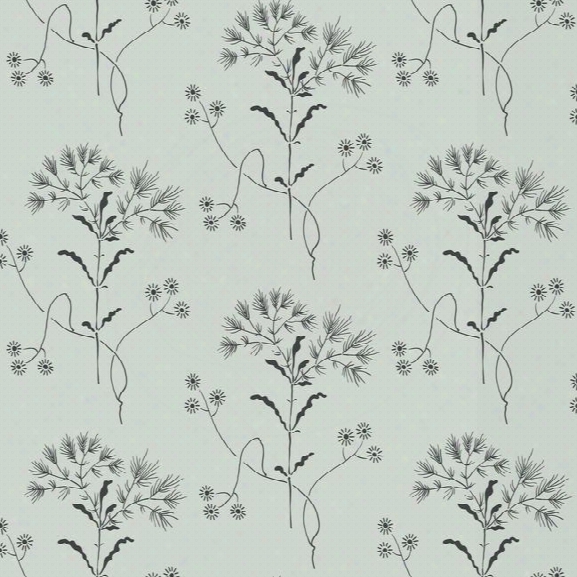 Amorina Brown Leaf Wallpaper From The Scandinavian Designers Ii Collection By Brewster. 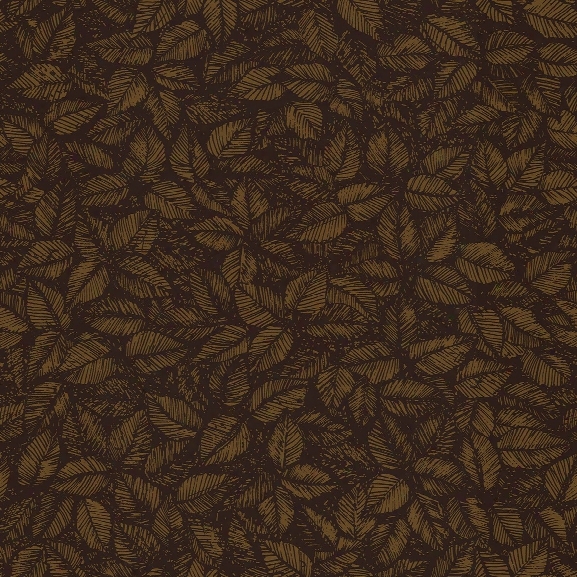 Whether You See Leaves Or Coffee Beans In This Brown Wallpaper, You'll Be Enchanted By His Vintage Design. Taken From Designer Viola Grasten's 1962 Print, This Design Stands The Test Of Time. Amorina Is A Non Woven Blend, Unpasted Wallpaper.from Theâ scandinavian Designers Ii Collection: Borã´stapeter's Scandinavian Designers Ii Takes A New Look At Archive Wallpapers. The Works Of Arne Jacobsen, Stig Lindberg, Viola Grã´sten, And The Jobs Sisters Have Been Compiled With Prints Spanning Most Of The 1950's, 60's, And 70's. These Whimsical And Folkloric Wallpapers Get A New Look In Multiple Colorways Printed On A Non-woven Substrate. **second Image Is A Style Shot In A Different Colorway**â Material: Non Woven Blend Features: Unpasted - Washable - Wet Strippable Match Type: Straight Pattern Repeat: 20.9" Roll Dimensions: Sold As In A Minimum Of 2 Single Rolls (of 28 Square Feet Each), Which Are Physically Packaged As 1 Large Double Roll Covering Approximately 57.8 Square Feet (21 In. W X 33 Ft L).â please Allow 3 - 5 Business Days To Ship Out And Receive Tracking.brewster Home Fashions Is The Most Fashion Forward Resource For Wall D?cor, Encompassing The Ultimate Breadth Of Appealing Designs. They Travel The Globe Interpreting Design And Color Trends In Order To Bring Products To The Marketplace That Are Innovative And Inspiring, From Eco-chic Grasscloth, To Boutique Styled Beauties, Traditional Looks, And Modern Designs.please Note: Burke Decor Does Not Accept Wallpaper Returns At This Time. Why? Wallpapet Is Produced In Batches (similar To Tile) And Due To Dye-lot Variations That Occur Based On When The Rolls Are Produced, We Are Unable To Accept Returns. We Are More Than Happpy To Exchange Unopened Wallpaper For Another Pattern Or Store Credit.